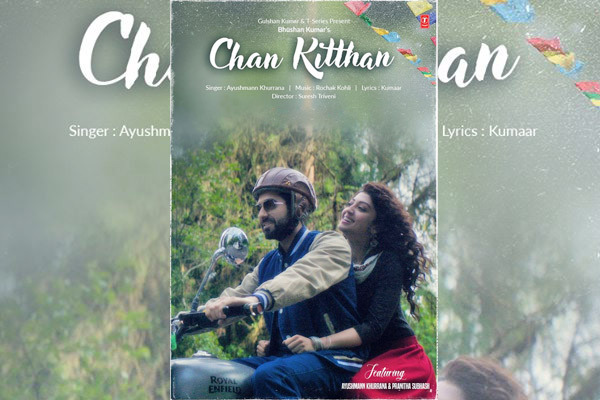 MUMBAI: Ayushmann Khurrana’s single Chan Kitthan with T-Series released today. Featuring Ayushmann along with South Indian actress Pranitha Subhash, the song is the recreated version of a Punjabi folk song with the same title. Pranitha plays the actor’s love interest in the song. The song starts with the leading lady being accused of a crime, whose suspense is revealed towards the end of the song. As the story travels back in time, romantic moments between Ayushmann and Pranitha are shown, backed by the mesmerising vocals of the Shubh Mangal Saavdhan actor. The melodious music adds to the feel of the song. Ayushmann who is back with an independent song after two years, “This time around, I had a gap so thought of releasing a single and doing something on independent music." Ayushmann who will be seen as an undercover cop for the first time with this single, credits director Suresh Triveni for encouraging him to play this character. The actor had earlier done a cameo in his debut film, Tumhari Sulu starring Vidya Balan. Chan Kitthan is shot in many pristine locations amidst sub-zero temperatures. Ayushmann had previously worked with Bhushan Kumar on Mitti Di Khushboo, Ik Vaari and Yahin Hoon Main that went on to become successful music videos.